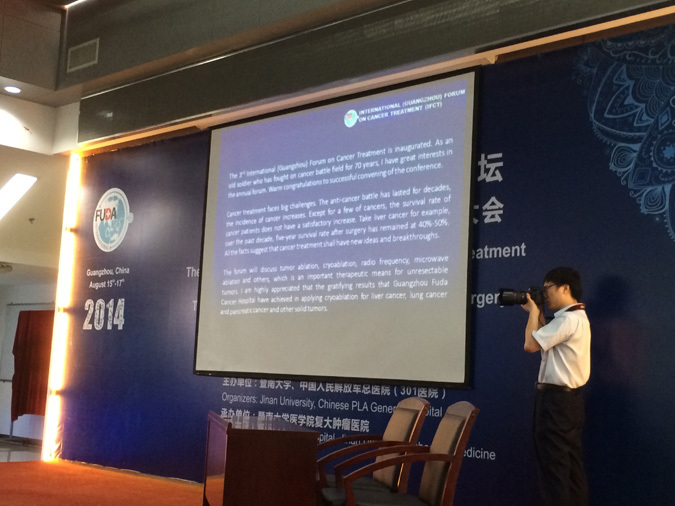 Time is going by fast… Unfortunately, the warm summer 2014 will break and come to its end very soon. 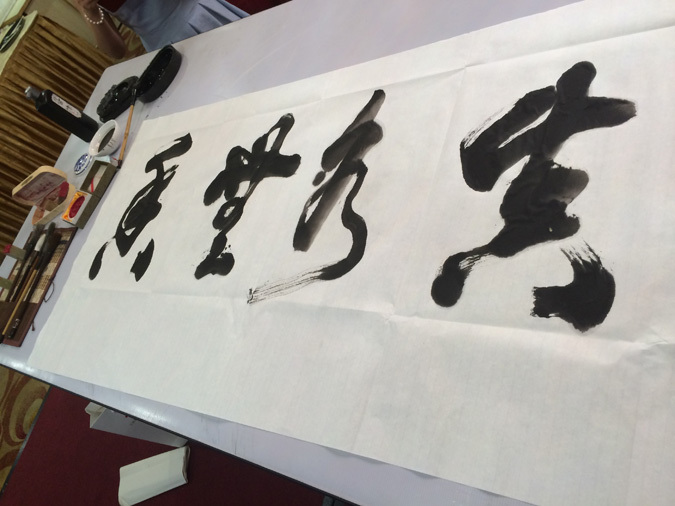 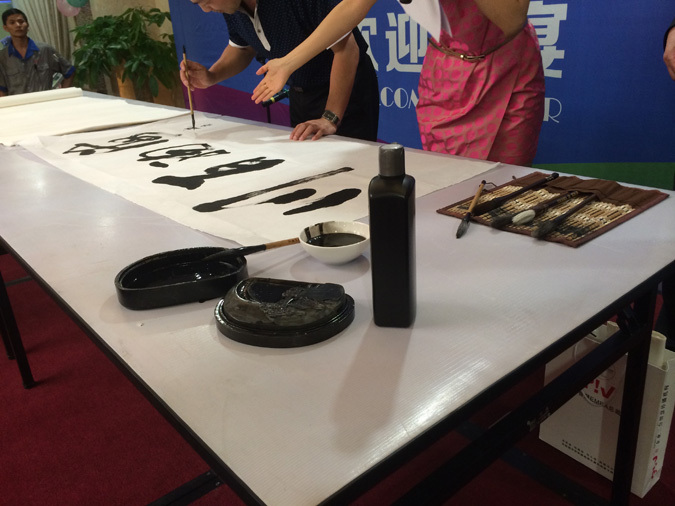 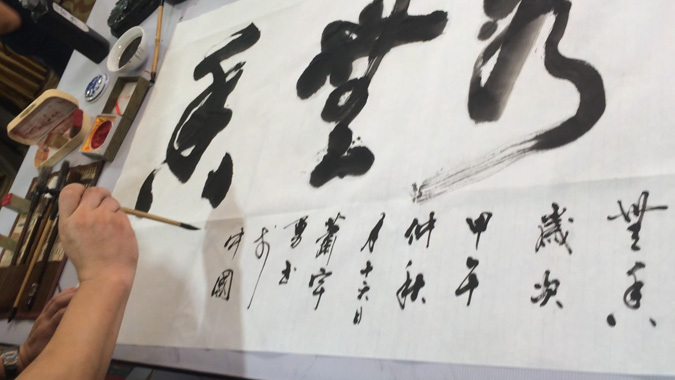 At present we return back to our work full of new body and mental energy gradually. 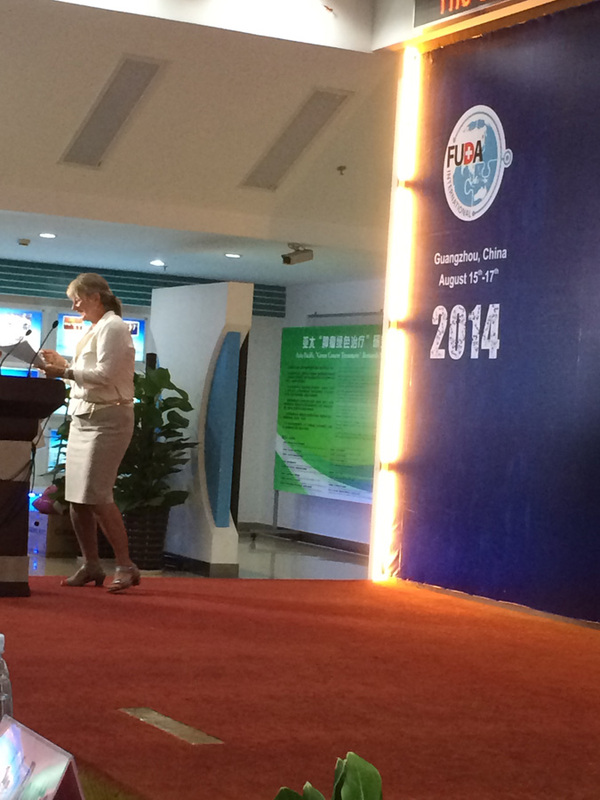 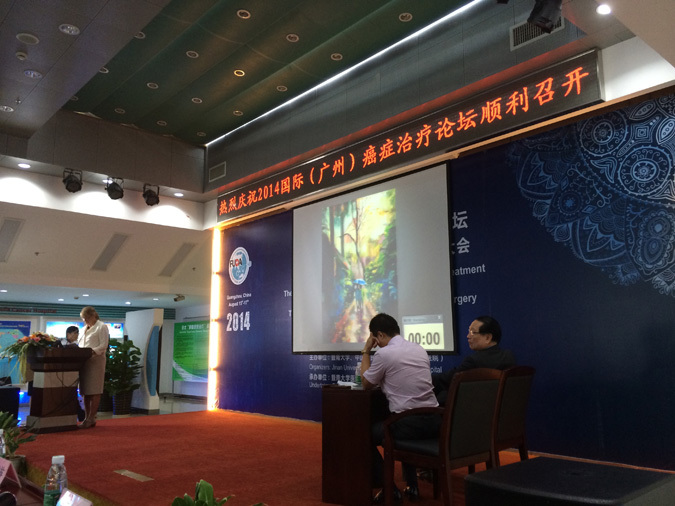 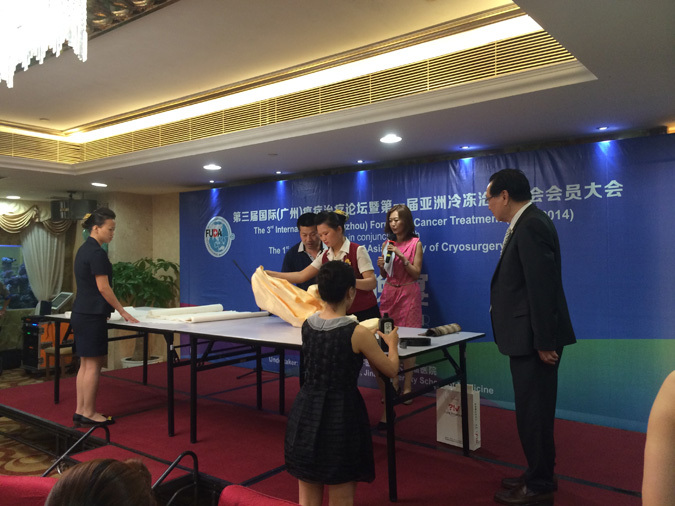 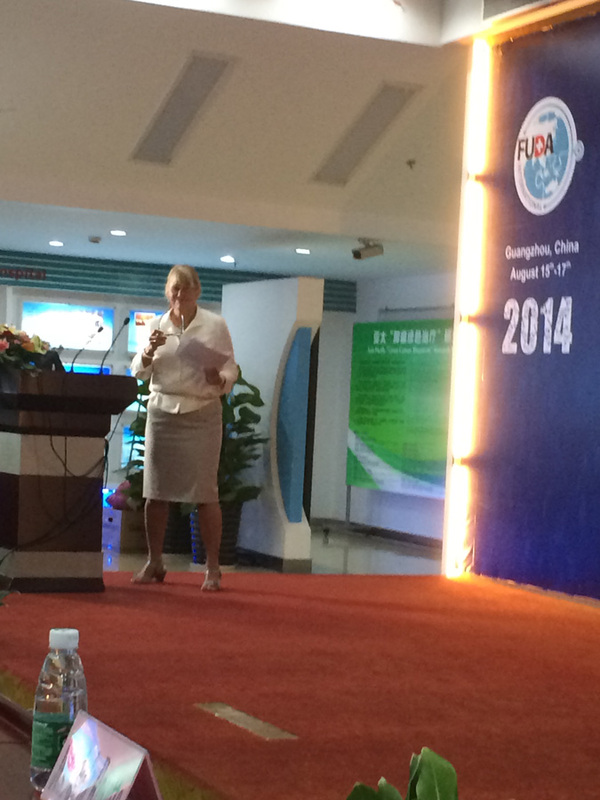 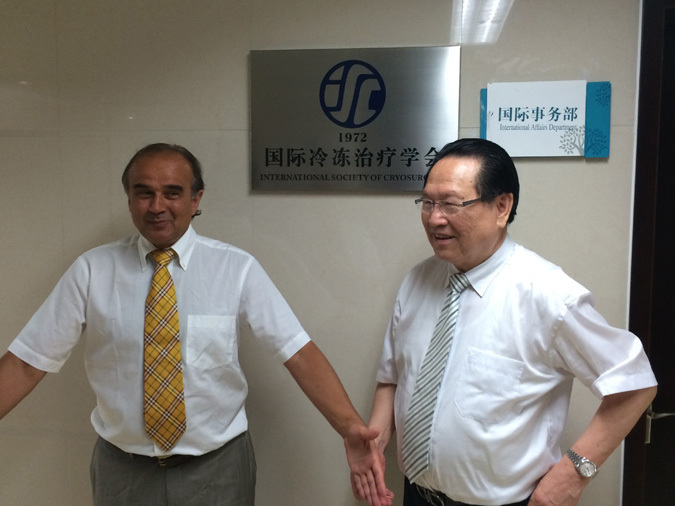 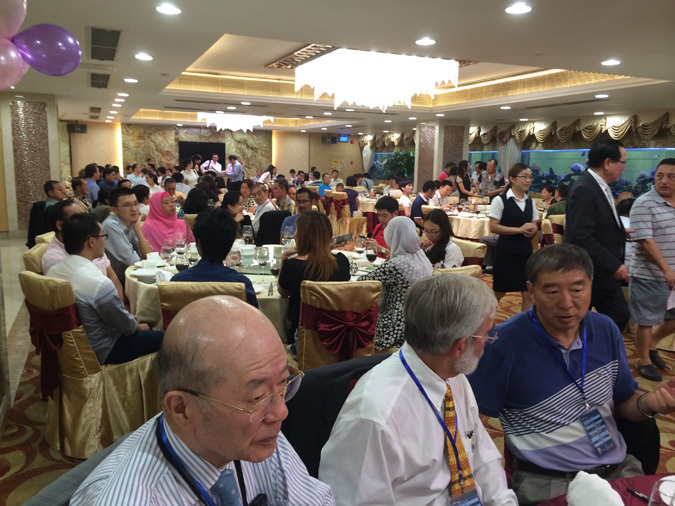 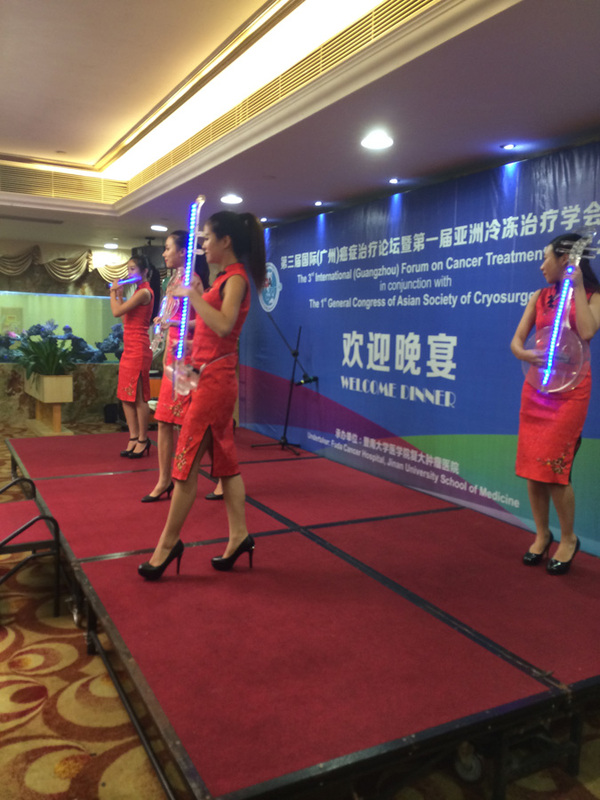 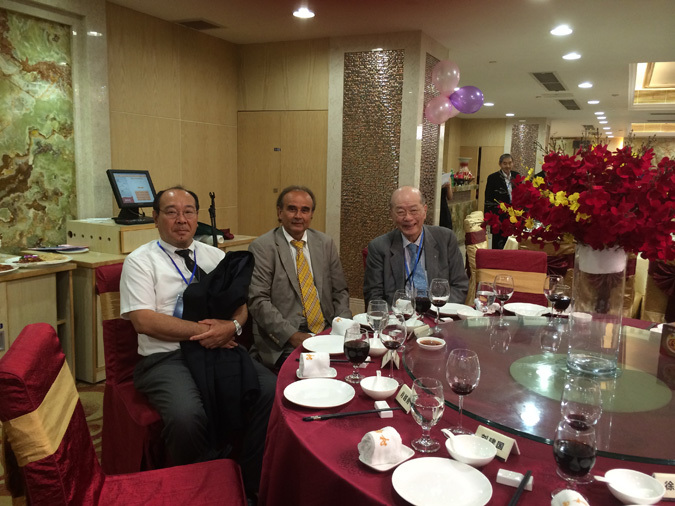 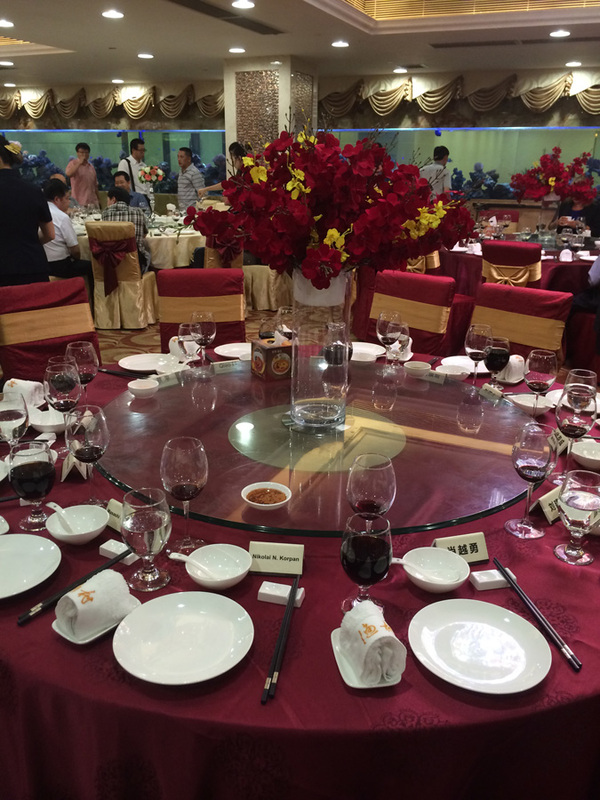 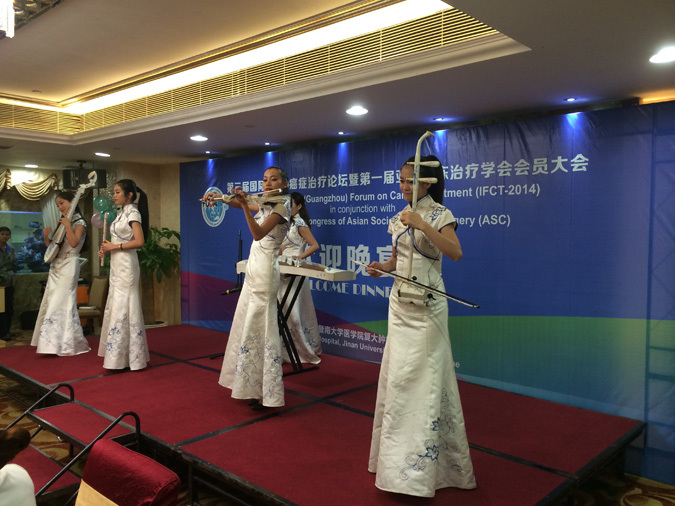 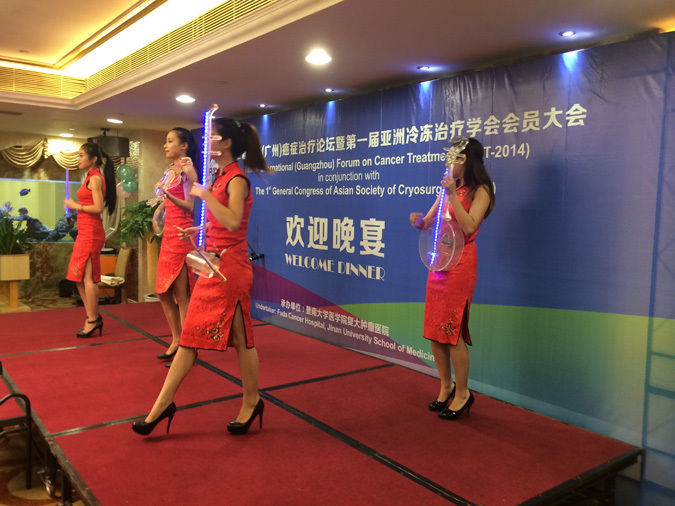 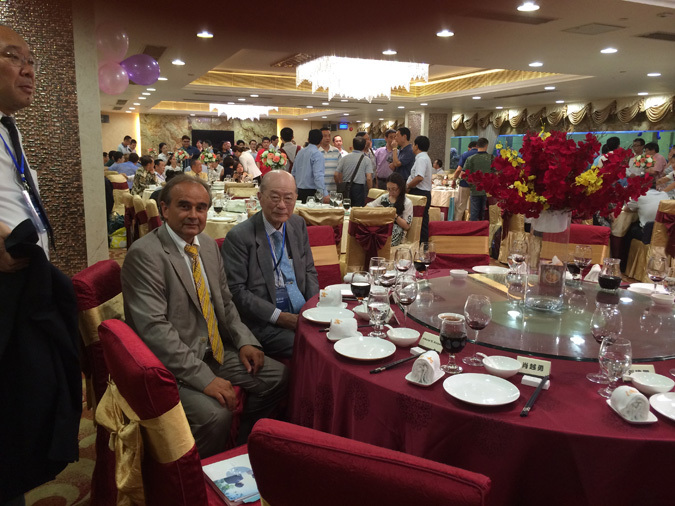 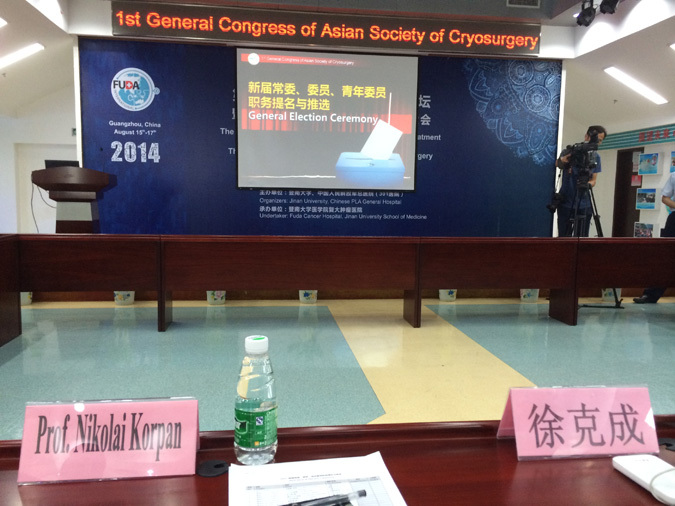 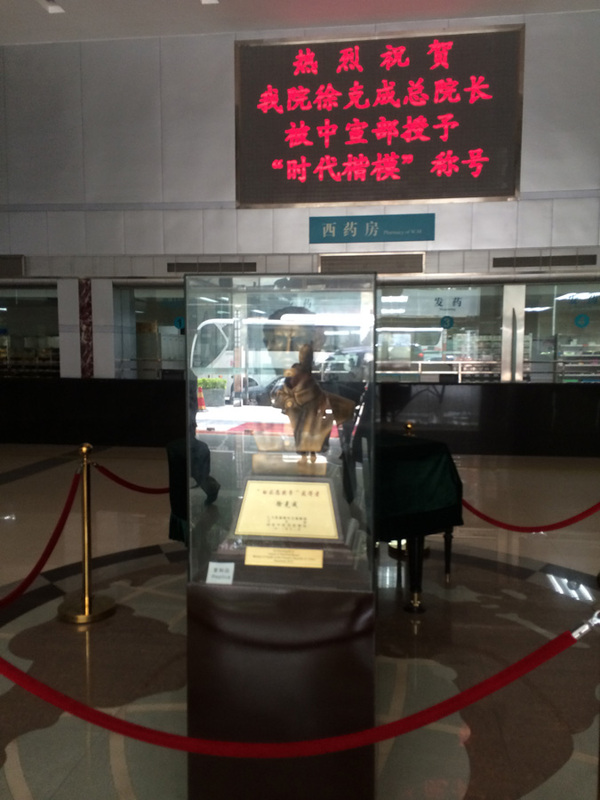 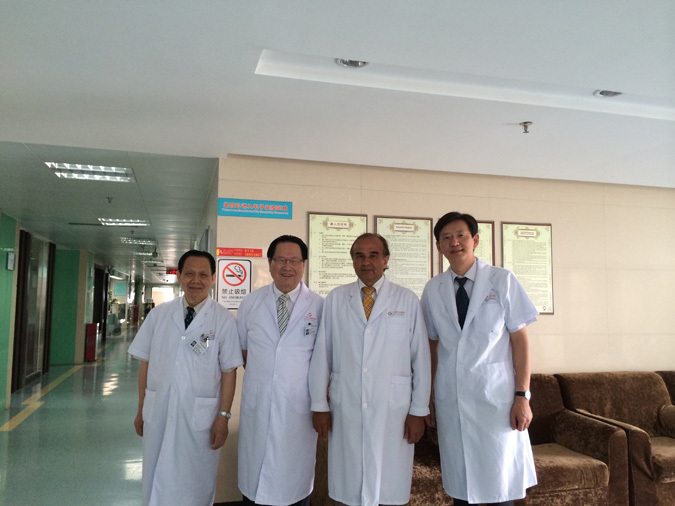 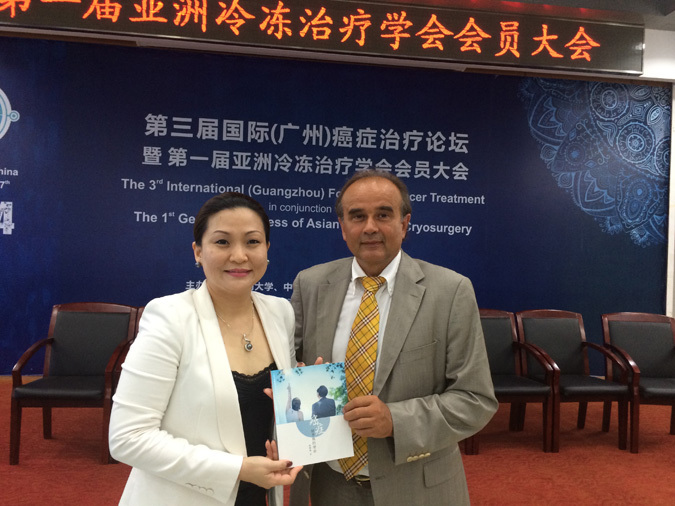 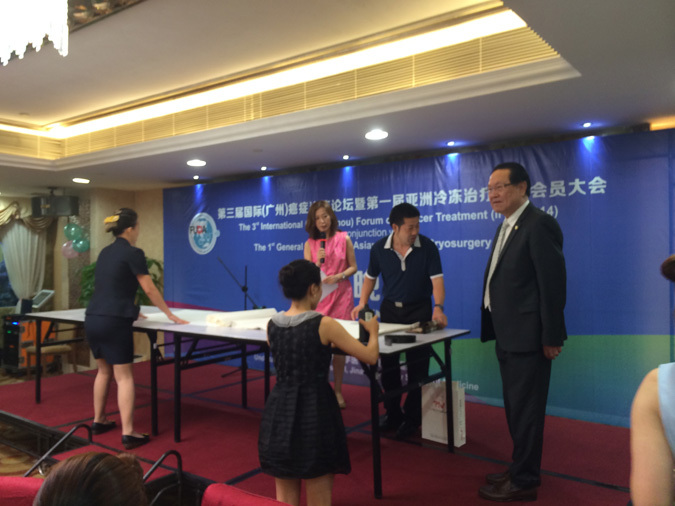 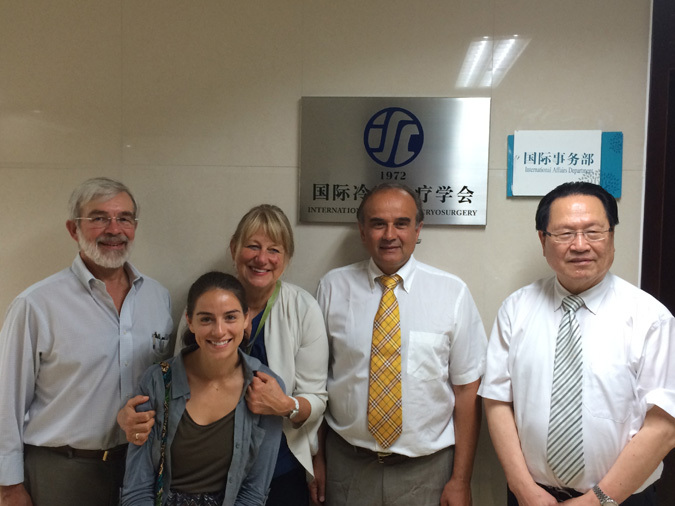 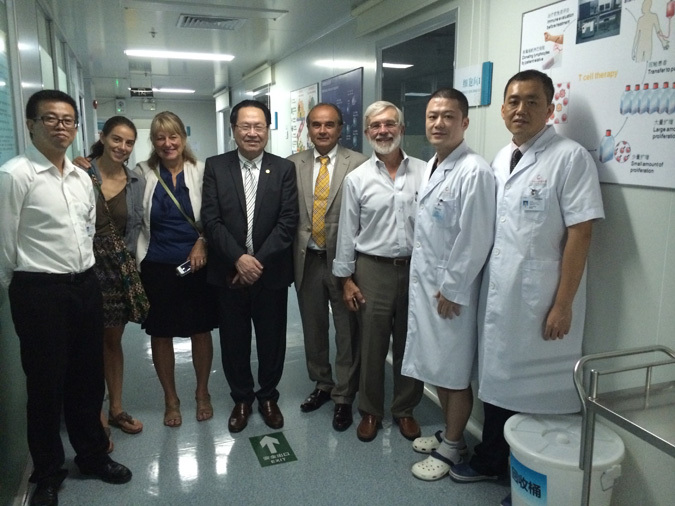 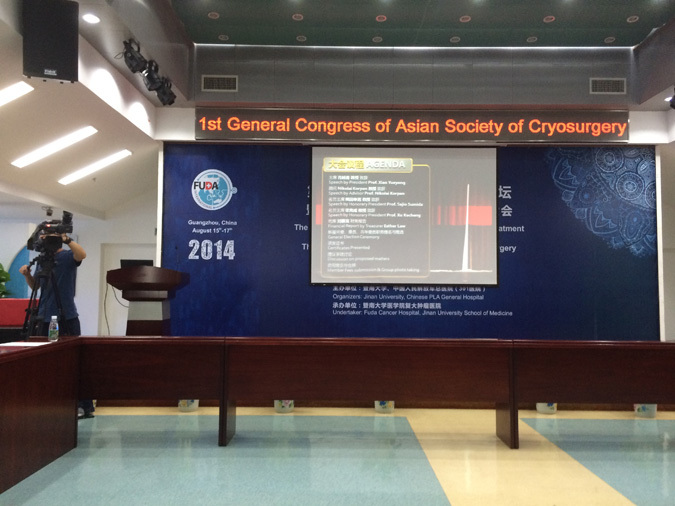 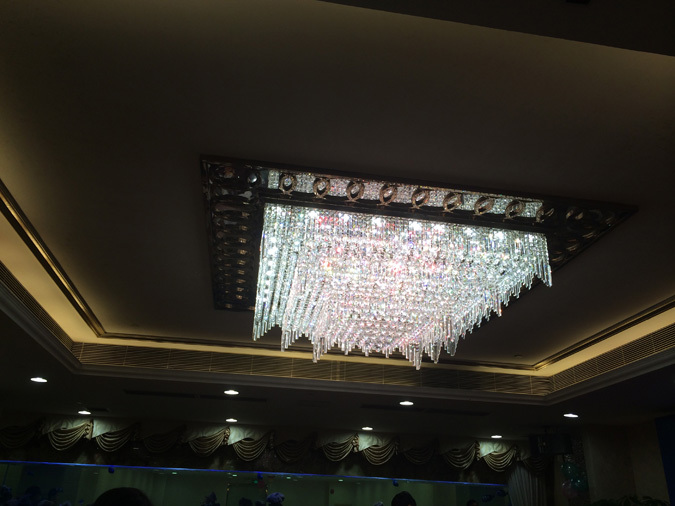 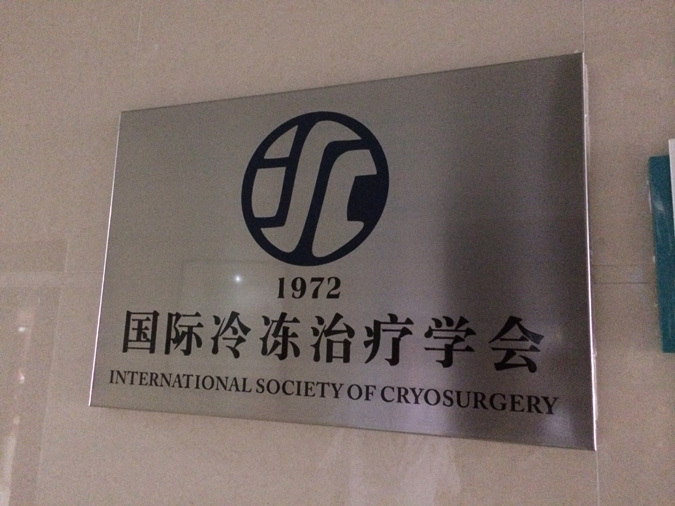 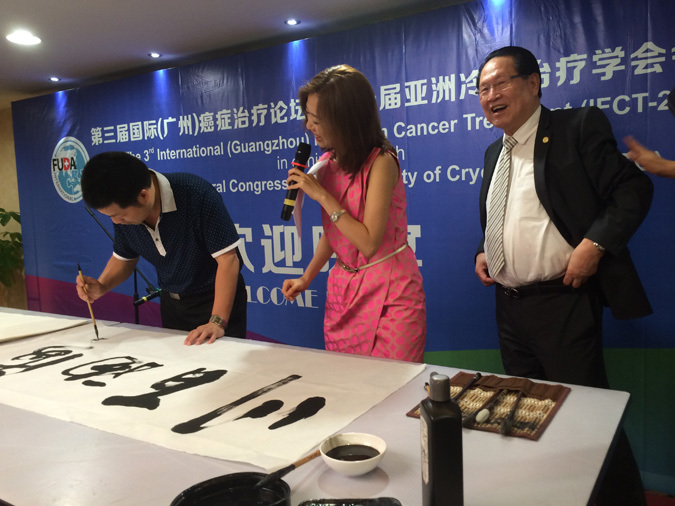 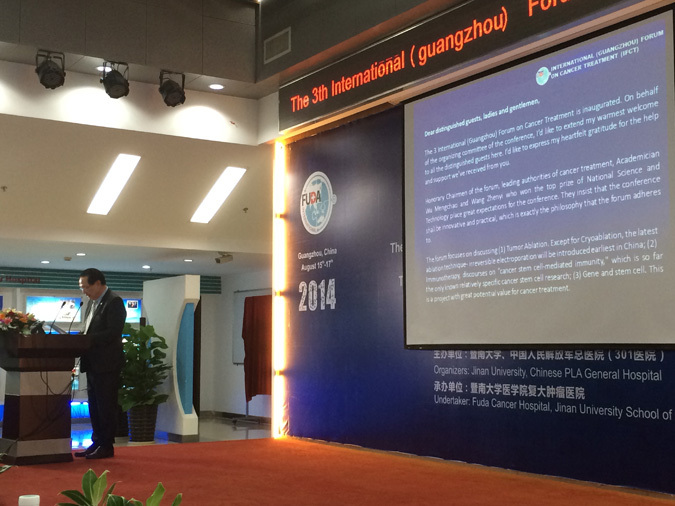 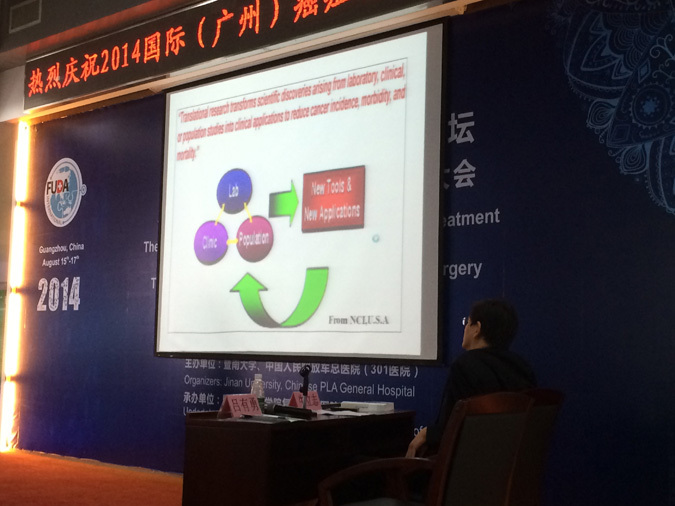 4 years ago the Preparatory Meeting for the Asian Society of Cryosurgery based on the Fuda Cancer Hospital has opened the historical chapter of its future development and passed successfully here in Guangzhou in September 2010. 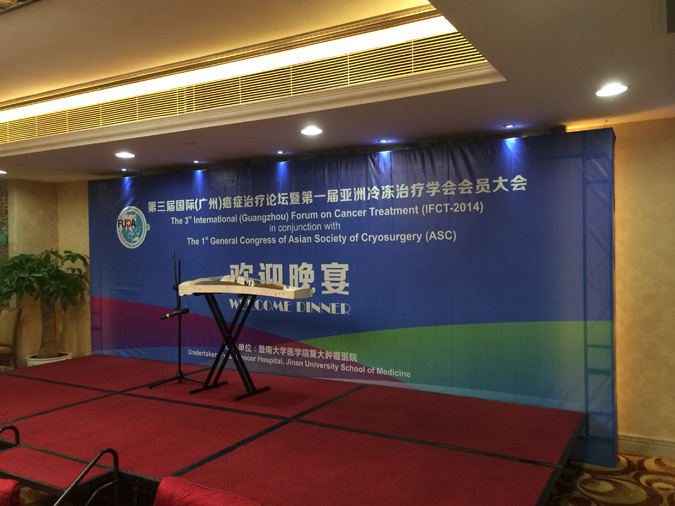 As you know at that time 20 physicians and scientists from 6 countries have attended this first meeting and given the initial impulse for the starting of the ASC focused on the topic of the establishment and constitution of the ASC. 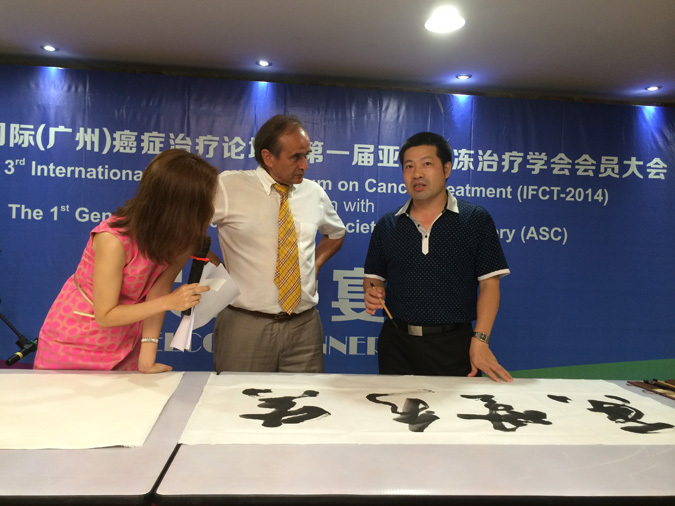 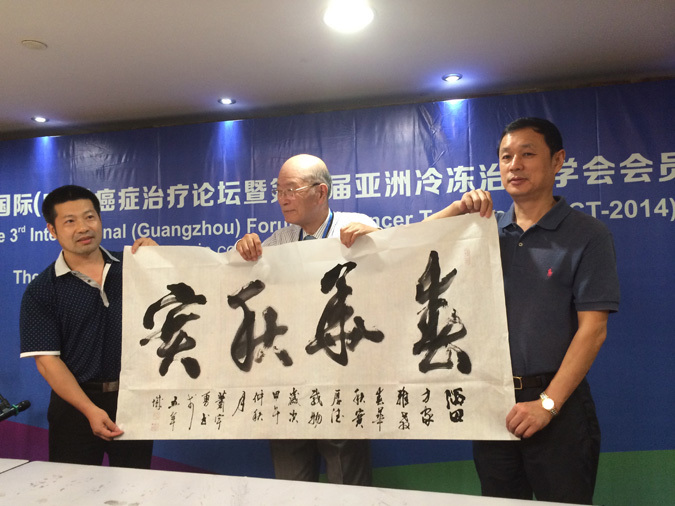 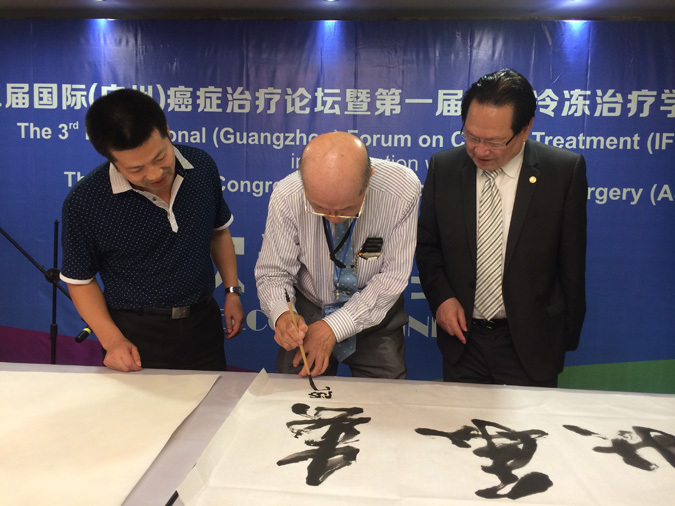 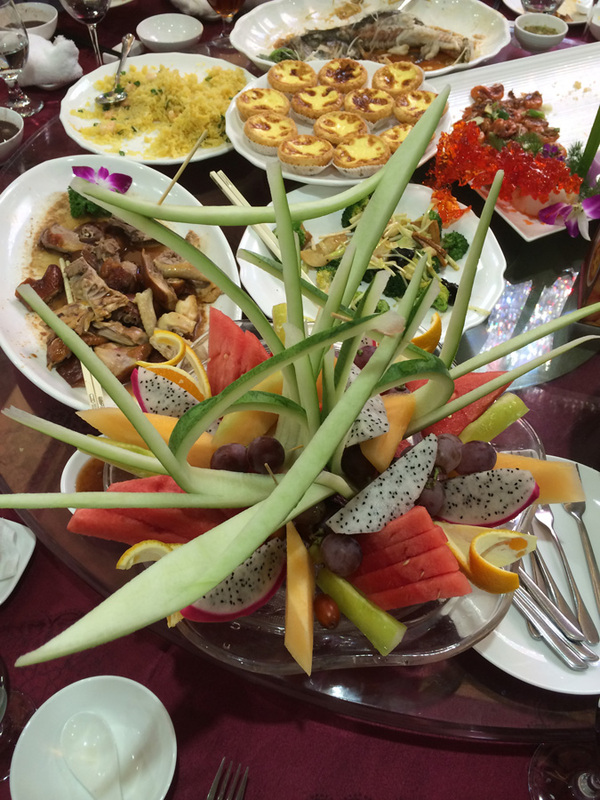 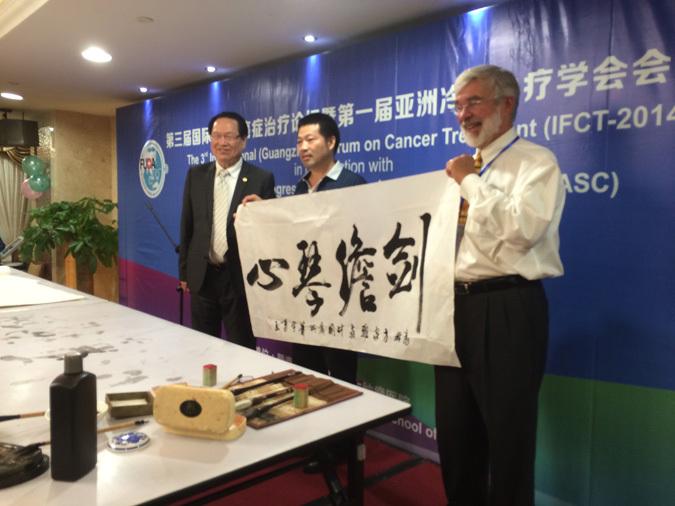 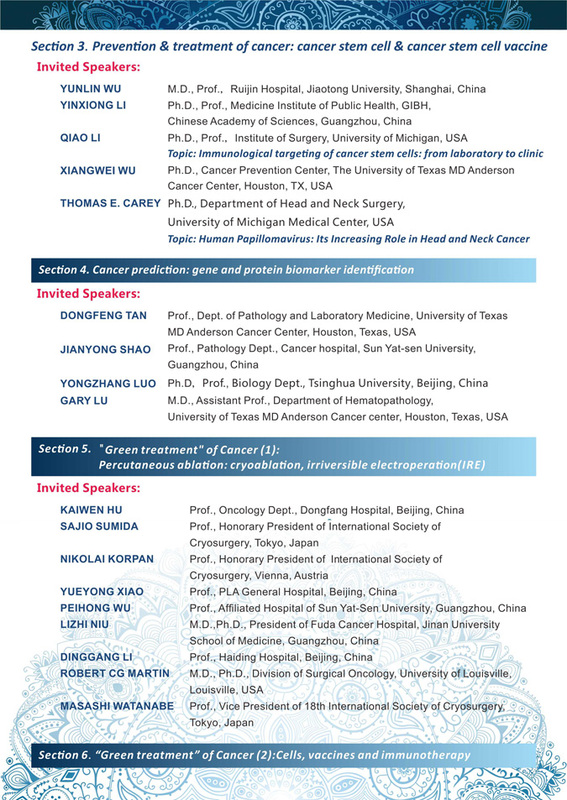 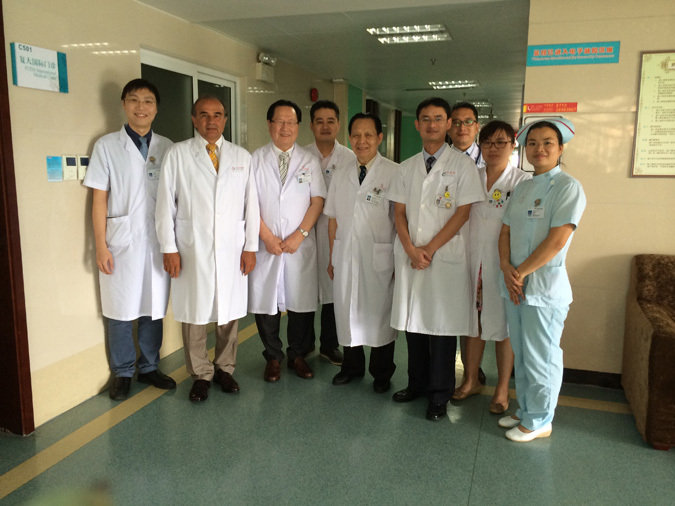 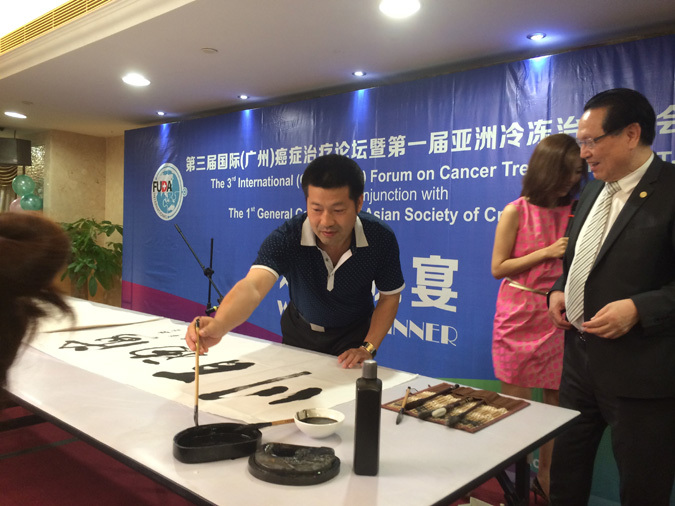 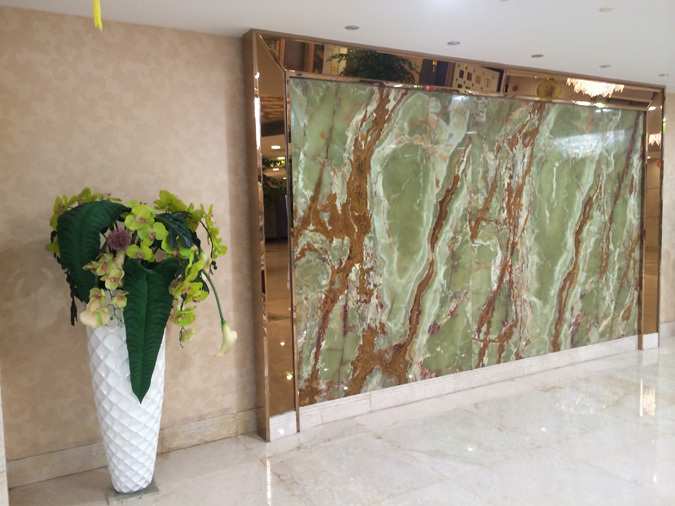 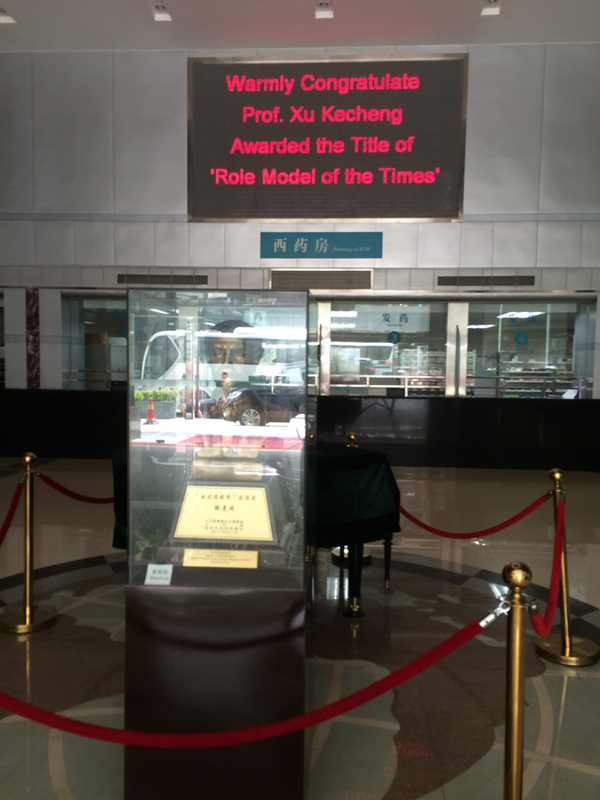 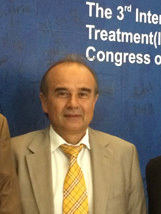 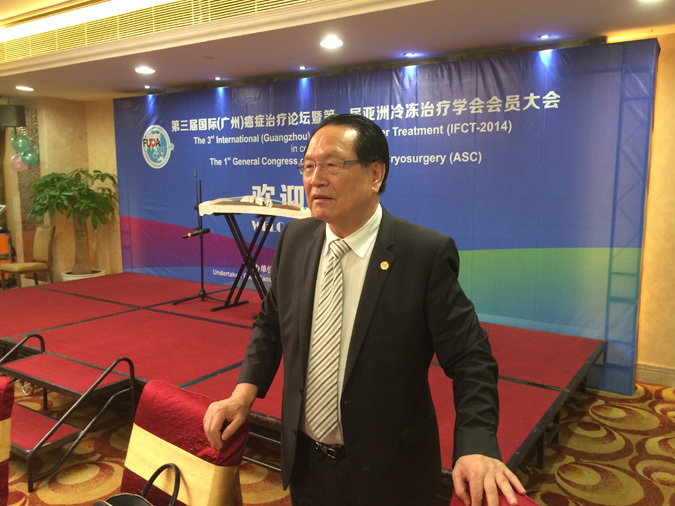 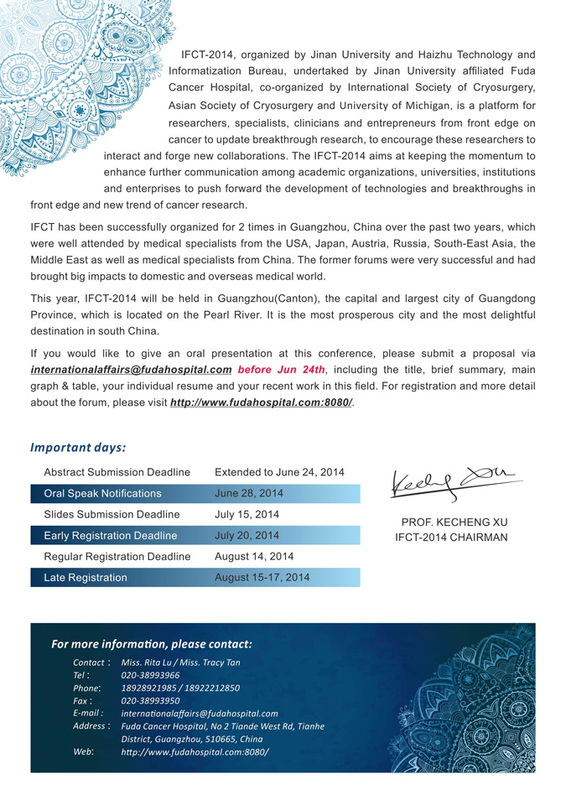 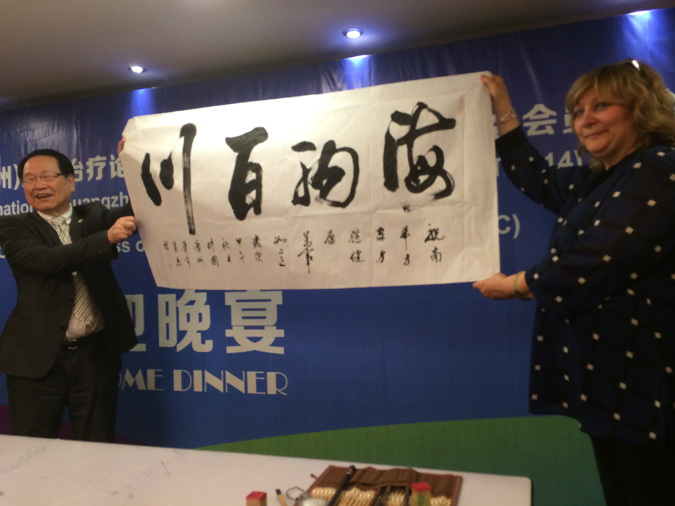 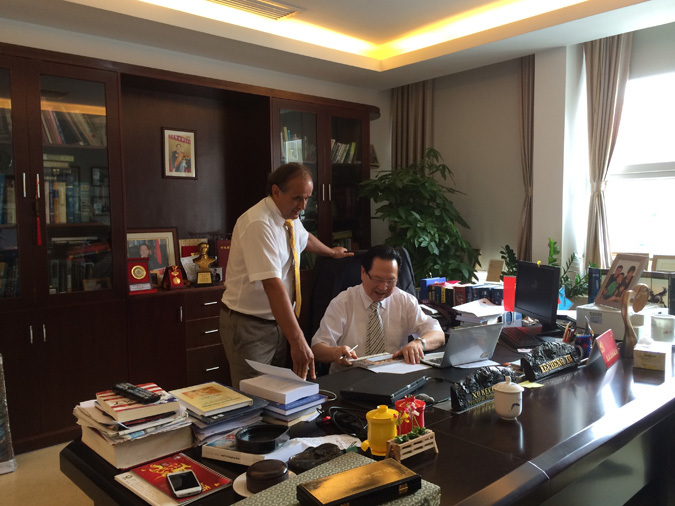 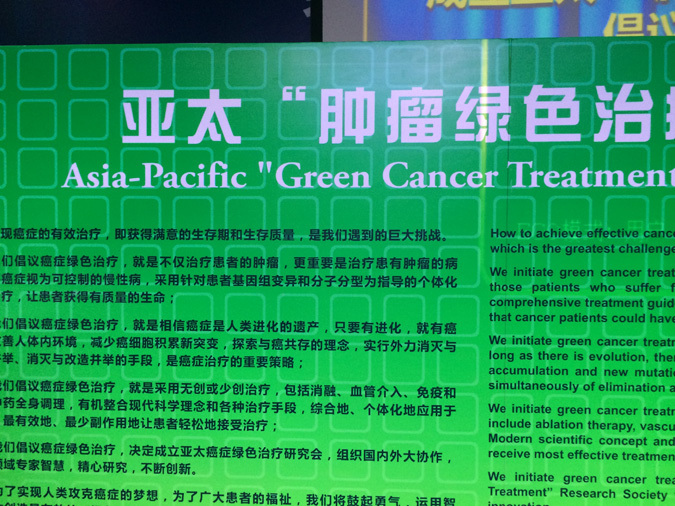 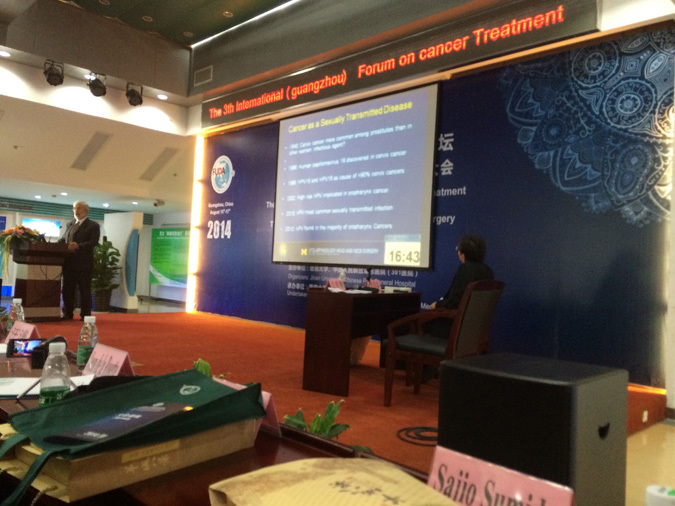 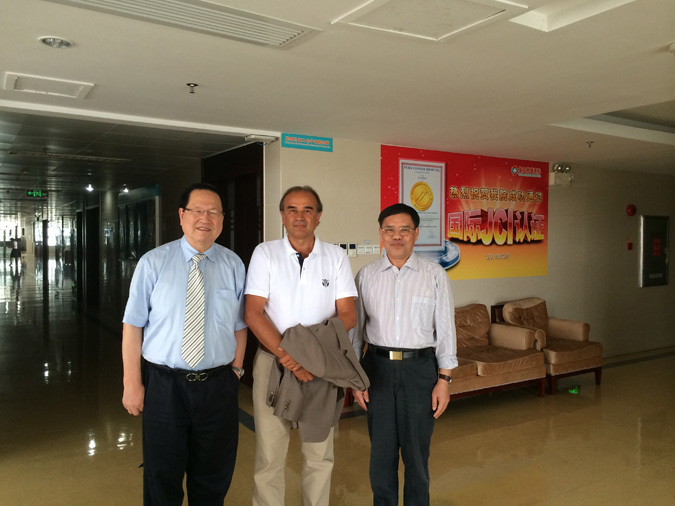 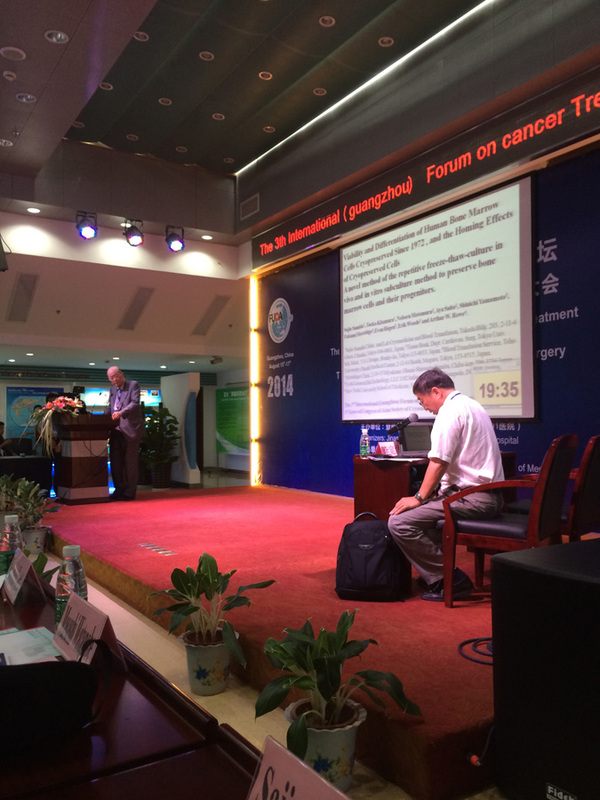 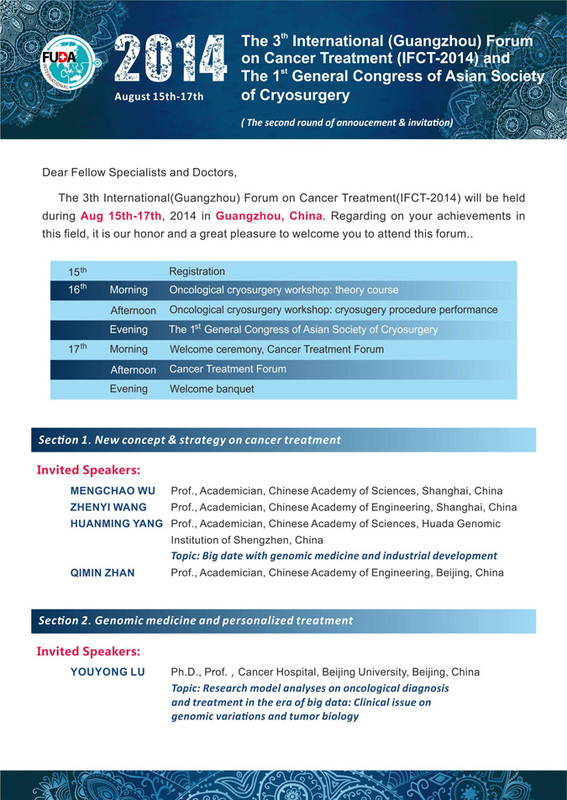 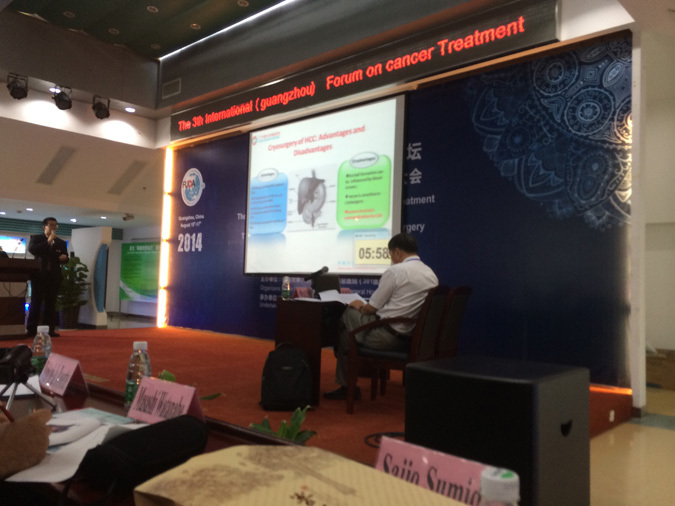 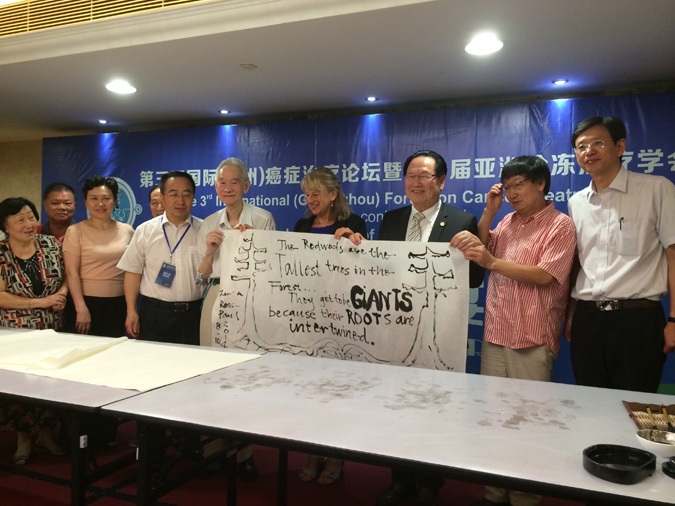 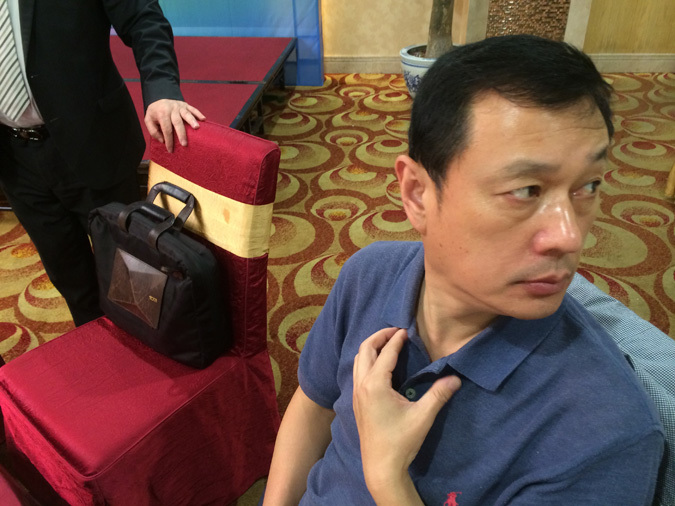 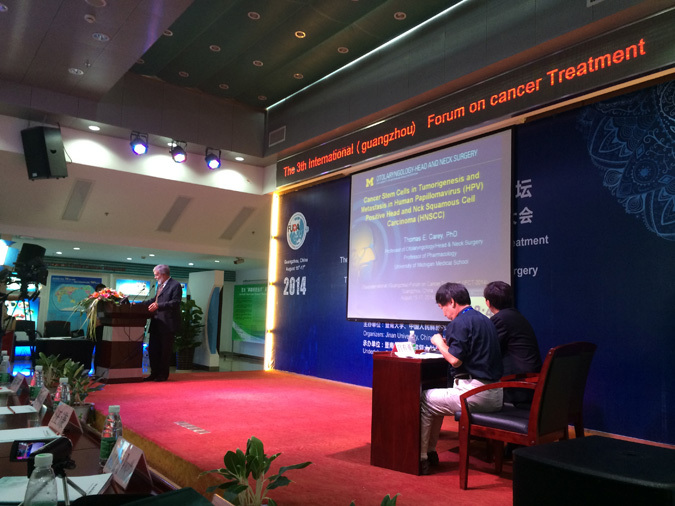 Even one year later the next scientific event namely the 1st International Forum on Cancer Treatment was efficient initiated by Professor Dr. Kecheng Xu and his professional team at the Fuda Cancer Hospital. 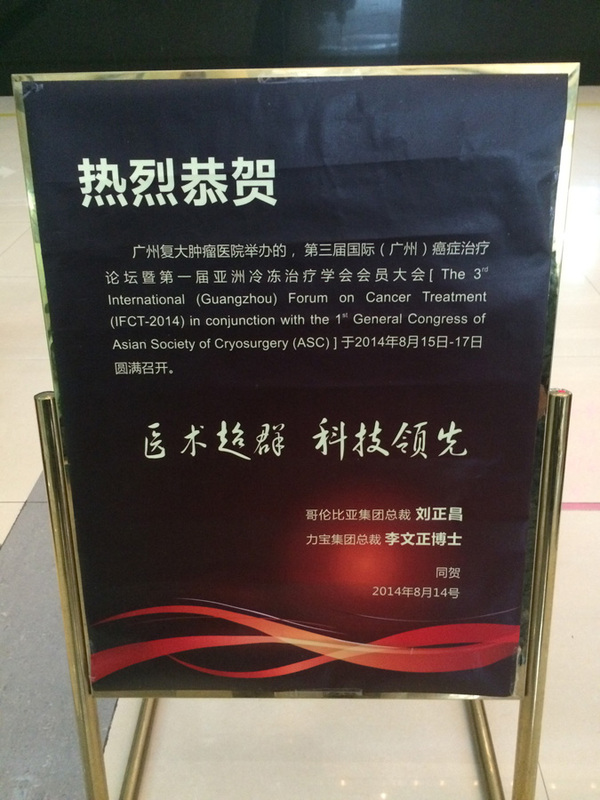 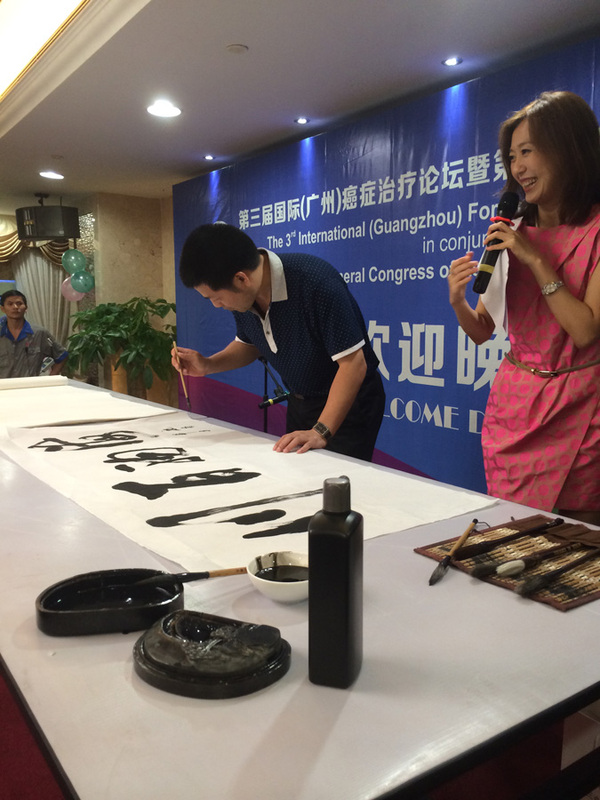 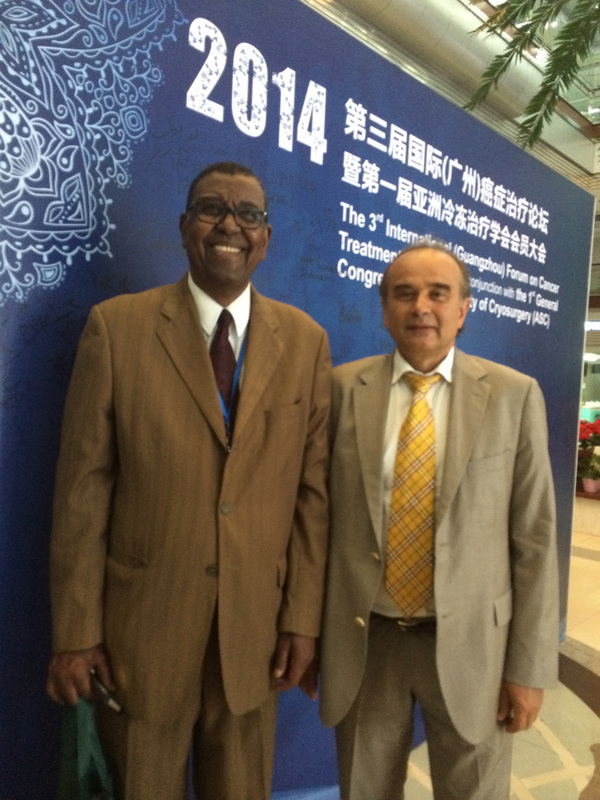 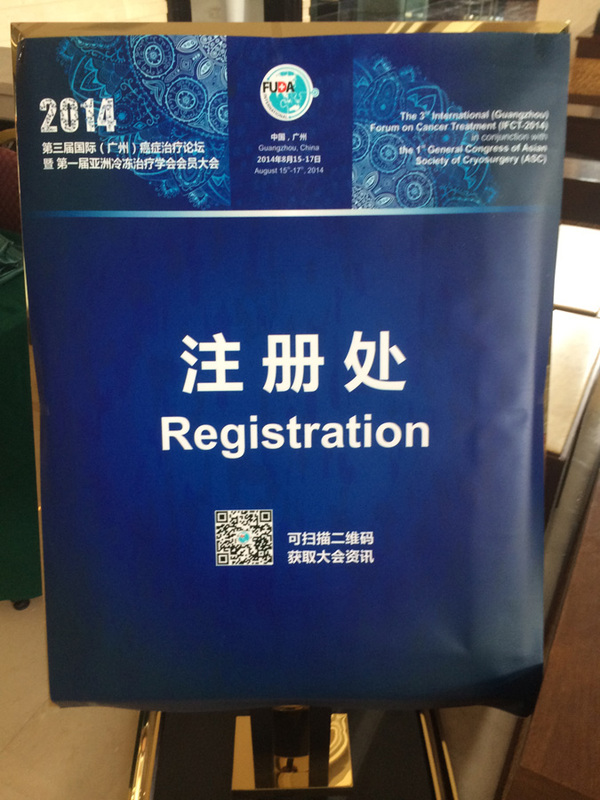 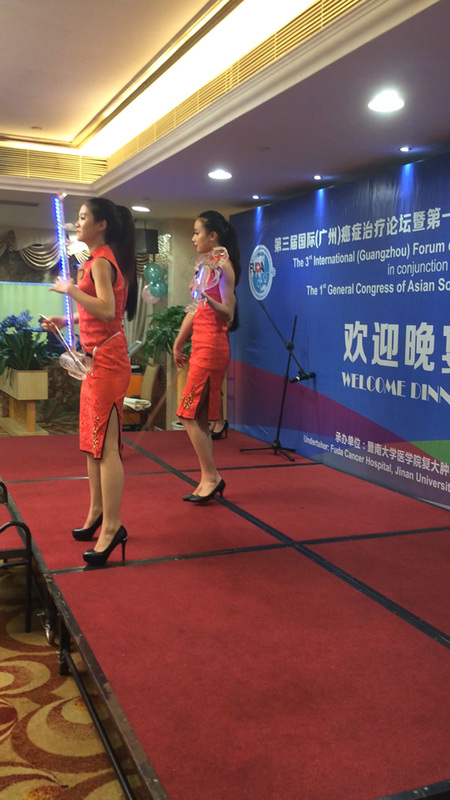 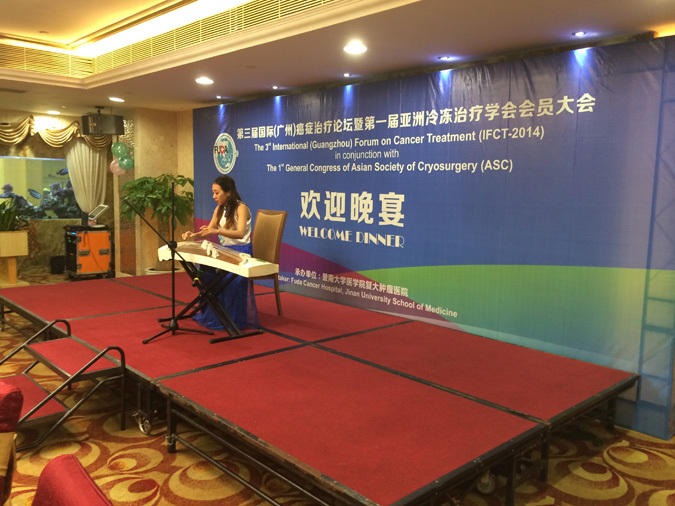 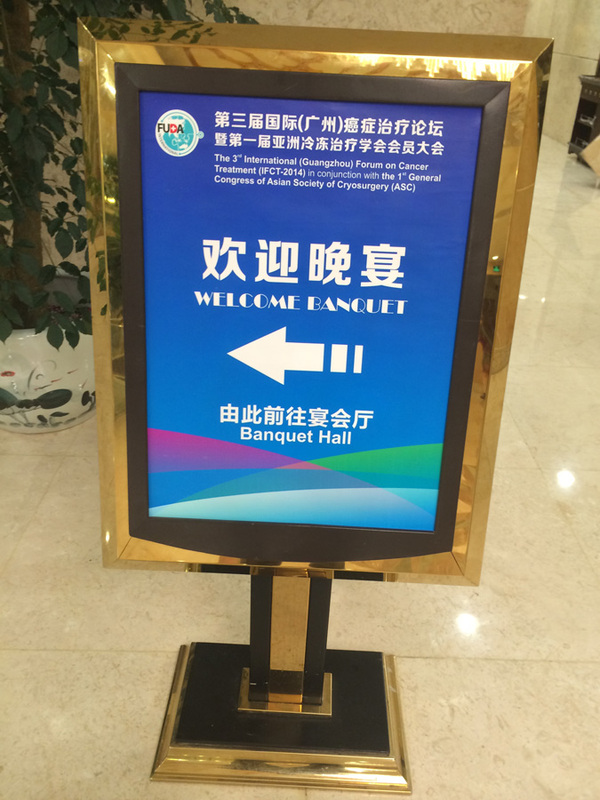 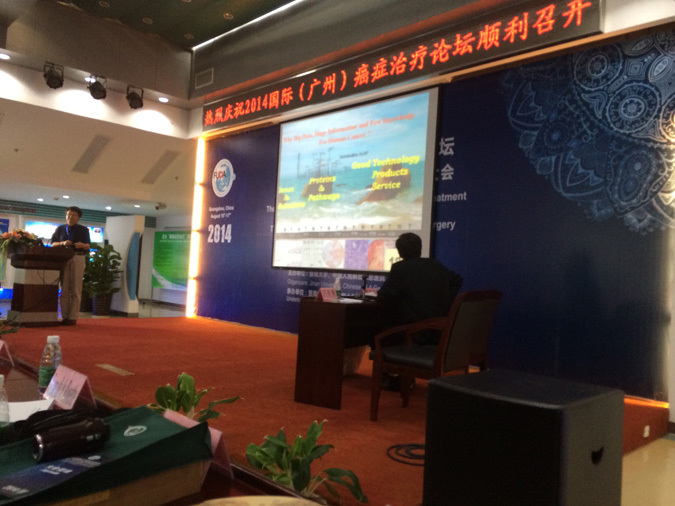 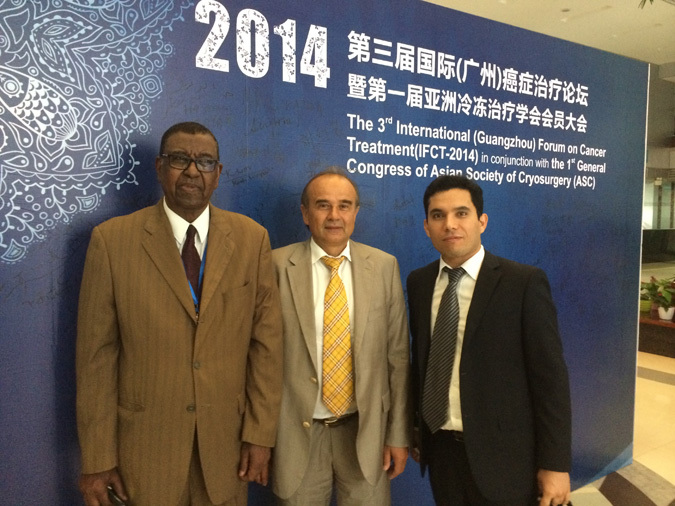 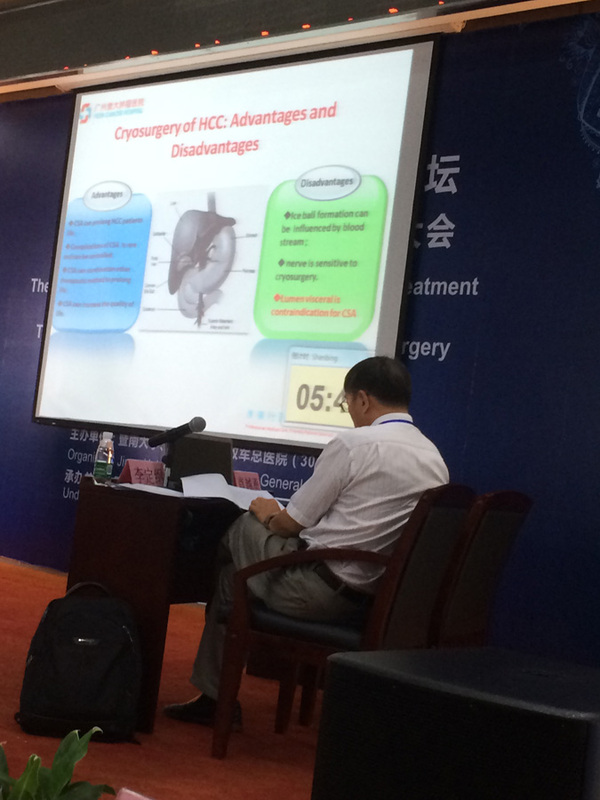 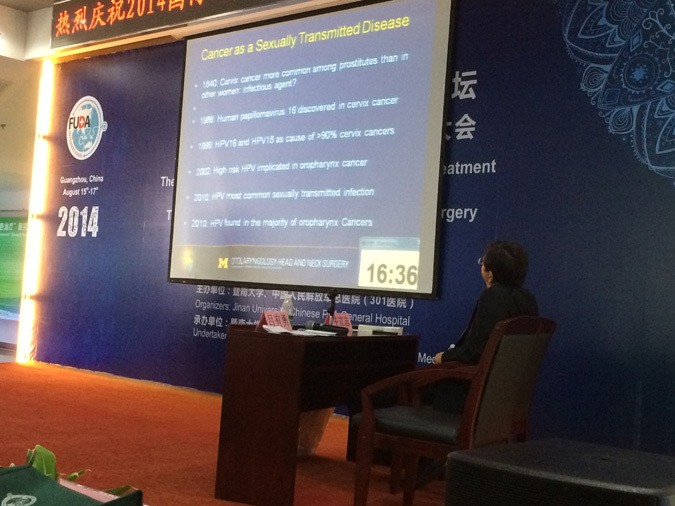 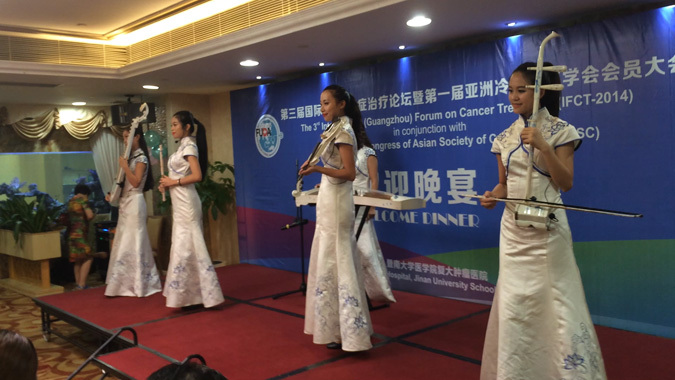 And now we are delighted to attend the 3rd International Forum on Cancer Treatment combined with the 1st General Congress of the Asian Society of Cryosurgery 2014 here in Guangzhou again. 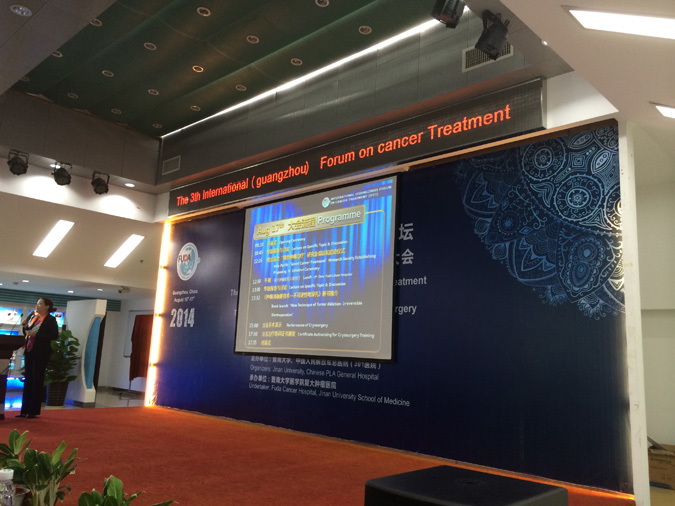 In retrospect we are pleased to look how the Fuda Cancer Hospital, the whole ASC and the International Forum on Cancer have slowly but certainly grown de facto in recent past years prosperously. 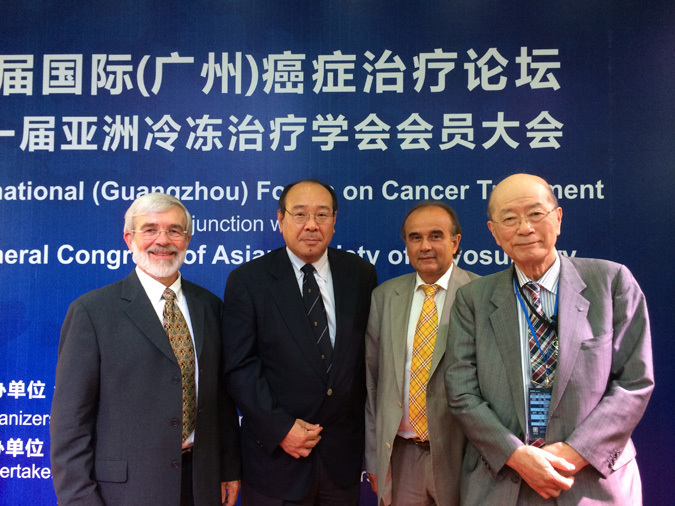 At present we are willing with refreshed power to continue and extend our constructive work connected to further progress of the ASC as well as the International Forum on Cancer and Fuda Cancer Hospital. 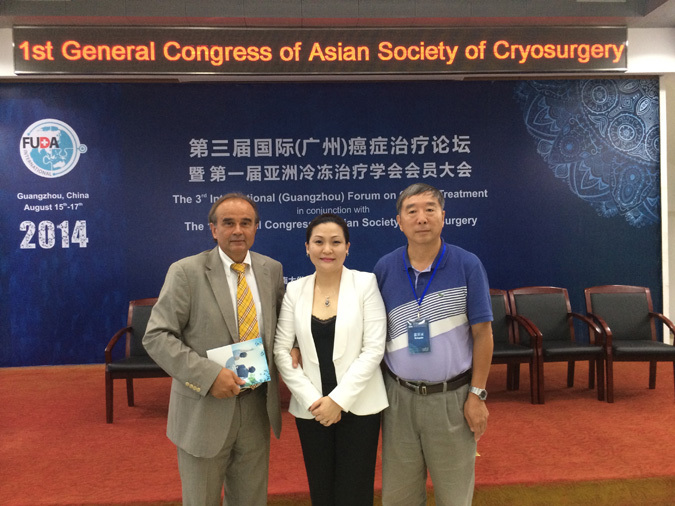 We are looking to carry forward all sorts of activities in the field of modern CryoResearch, CryoScience, CryoMedicine, CryoSurgery, CryoPraxis and CryoTechnology on the national and international levels collaborated together with one another. 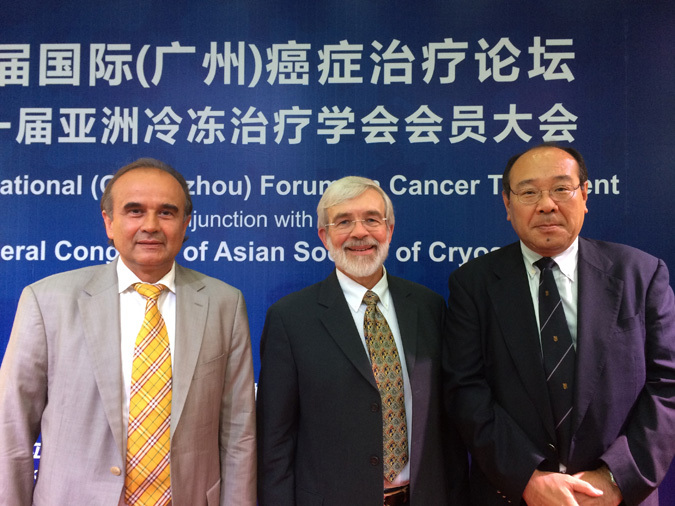 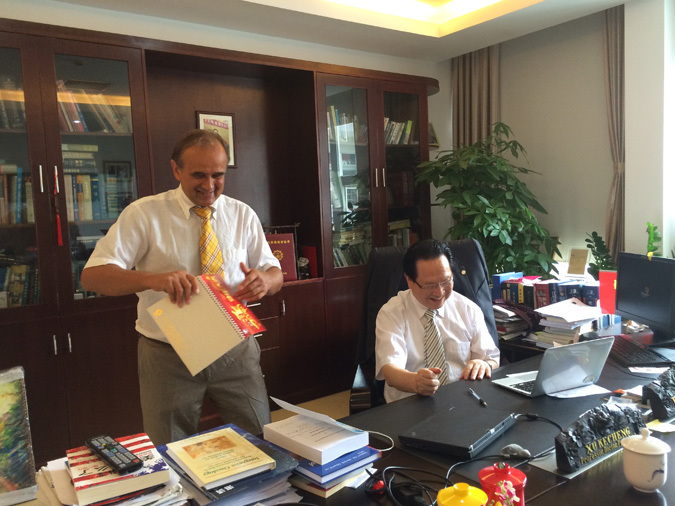 On this occasion I feel to express my deeply and truly grateful to Prof. Dr. Kecheng Xu, who is several times President of numerous national and international medical and scientific institutions, and his hardworking team as well as Prof. Dr. Yueyong Xiao, 1st elected and voted current President of the ASC, and Directors of Board of the ASC, and also all Members of the ASC for their great efforts and requisite hard work for the contribution to the modern evolution of national and international science and medicine. 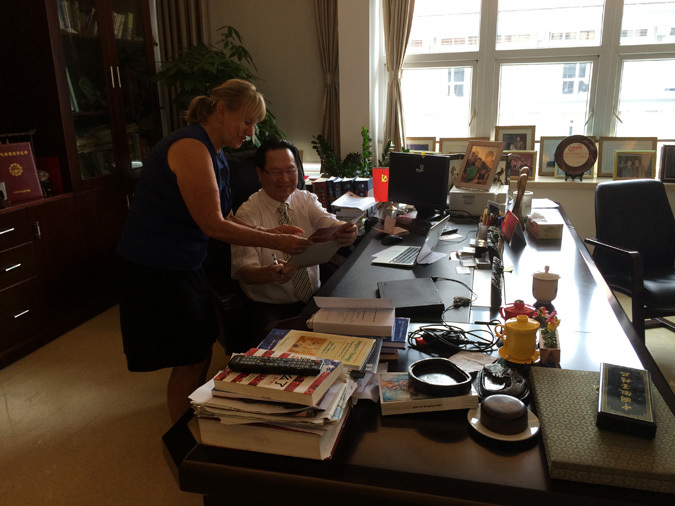 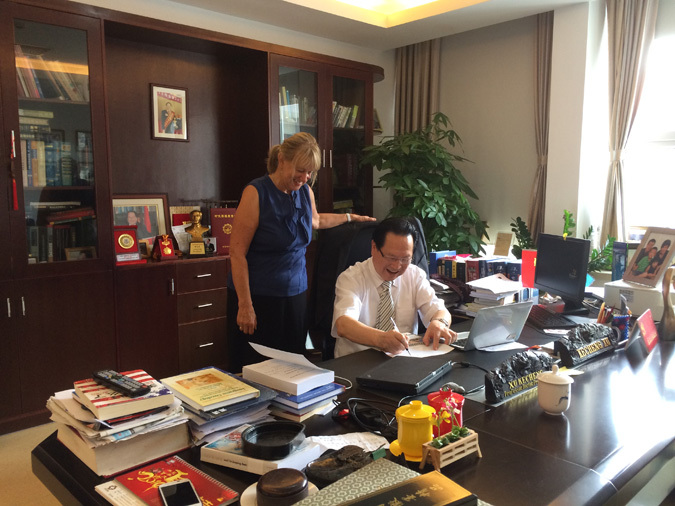 Further, I would thank Prof. Dr. Lizhi Niu and his work team as well as Mrs. Esther Law Lee Poh, chief secretary and leading events coordinator, with the whole office for their substantial segment in processing of the 3rd International Forum and 1st General Congress of the ASC. 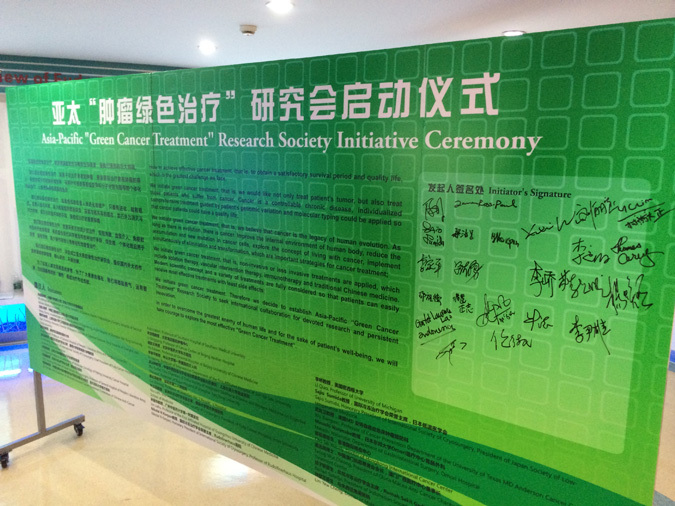 Finally, on this way I wish all of you a good health, humanly happiness, scientific success and achievements, and promising activity aimed at the benefit of the international humanity, especially patients with malignancies world-wide. 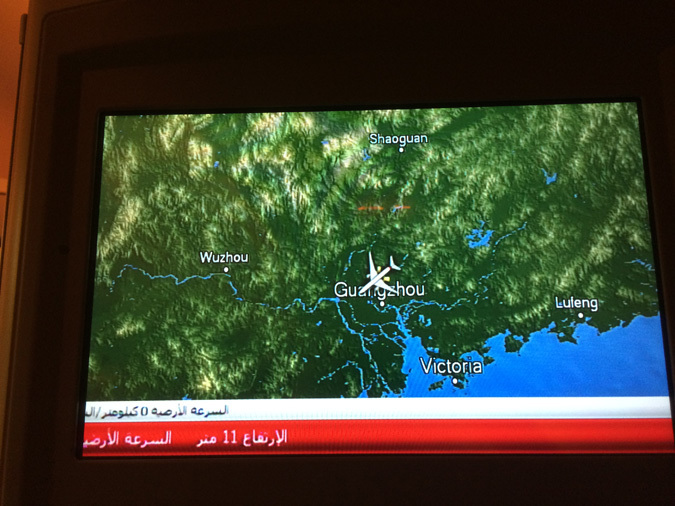 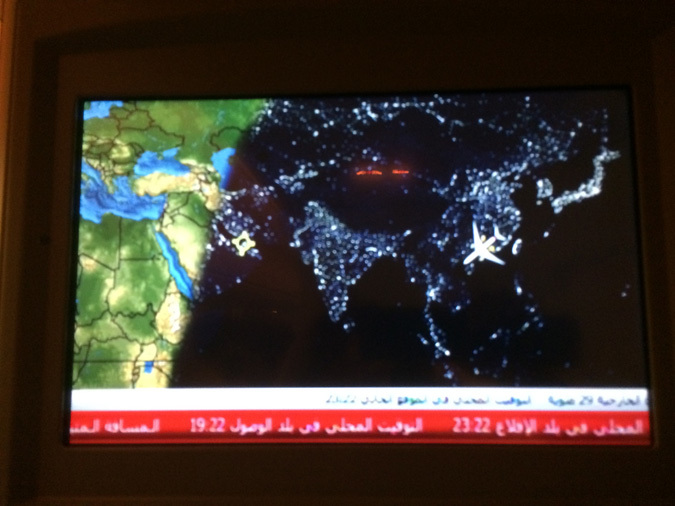 I wish you and your families all the best once again!